Symbolising love, healing and kindness, this beautiful crystal suggests you may find yourself feeling very drawn to a new hobby or pastime this week. Inspiring conversations with friends, colleagues and loved ones may leave you feeling very empowered, and a heartwarming message from someone you love could leave you feeling slightly emotional too. 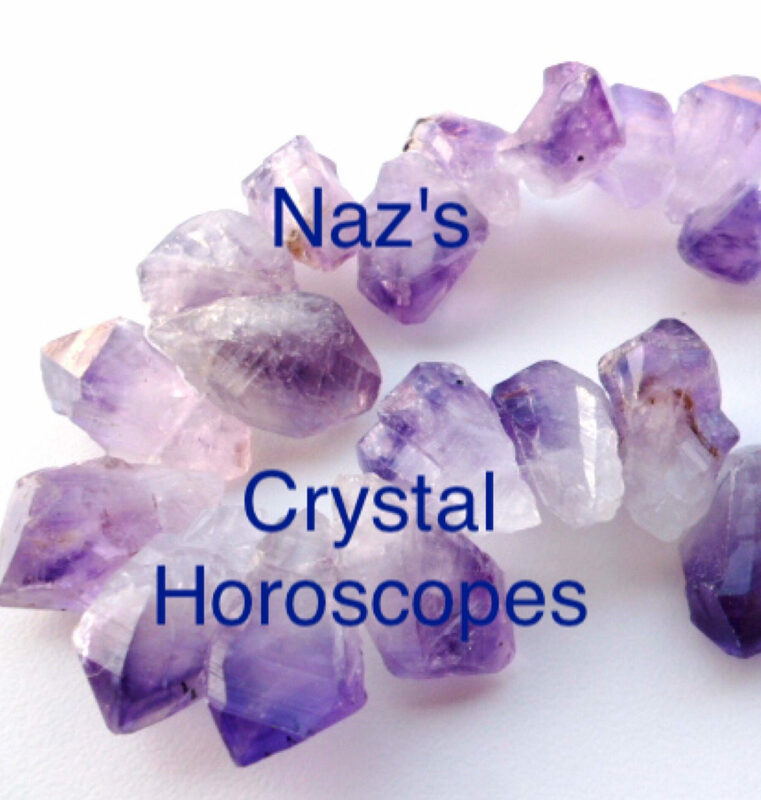 Nurture the bonds around you by placing a Rose Quartz by a photo of you and your loved ones. Known as a stone of protection, this mesmerising crystal suggests you may need to distance yourself from a very unhealthy environment this week. Hurtful comments from friends, family members and partners may leave you feeling very tearful, and you may need to reach out to someone you love and trust for their help and support too. Protect yourself from their bad vibes and negative energy - and fill your heart with positivity - by keeping an Amethyst in your home. Taking its name from the Italian words ‘a ventura’, meaning ‘by chance’, this stunning crystal is thought to help with everything - from attracting love and boosting your energy, to maximising your luck and protecting your family. Symbolising luck and good fortune, it suggests there could be some unexpected money coming your way this week. Bonuses and pay rises can both be expected, and someone may surprise you with a very generous gift too. Like this spellbinding crystal - which is so often mistaken for gold - this captivating crystal suggests there could be a misunderstanding between you and a friend or family member this week. Unanswered messages to friends and loved ones may leave you feeling very confused, and there could be an emotional outburst from someone you love too. Prevent their negativity from leaving you teary by keeping a Pyrite in your home or work place. Synonymous with love, friendship and travel, this enchanting crystal suggests the bond between you and a friend or colleague could become much closer this week. Deep and meaningful conversations with friends and loved ones may leave you feeling very blessed, and someone you love and respect may surprise with a very kind and thoughtful gesture too. Celebrate the love around you by keeping a Turquoise in your home, or placing one by a photo of you and your loved ones. Thought to gently nurture our hearts and minds - and help us leave our worries behind - this beautiful crystal suggests you may find yourself feeling slightly anxious about the future this week. Thoughtless comments from friends and colleagues may leave you feeling slightly tearful, and you may find yourself feeling very drained by your hectic work life too. Calm your body, mind and soul by holding a Jasper crystal by your heart each night, or keeping one under your pillow. Symbolising inner strength and courage, this stunning crystal suggests you may need to stand your ground with a very rude or stubborn person around you this week. Constant criticism from friends, family members and partners may leave you feeling very irritable, and someone’s ‘know it all’ attitude could really test your patience too. Protect yourself from their negativity - and surround yourself with positivity - by keeping a Bloodstone in your home or work place. Symbolising love, healing and domestic happiness, this beautiful crystal suggests there could be some exciting news about a friend, colleague or loved one this week. Unexpected pregnancies, engagements and wedding invitations can all be expected, and you could find yourself feeling very positive about the future too. Maximise your luck and positivity by keeping an Unakite in your home or work place, or placing one beside a photo of you and your loved ones. Known as a stone of inner peace and healing, this enchanting crystal suggests you may find yourself feeling slightly lonely this week. Cold or distant behaviour from friends, colleagues and loved ones may leave you feeling slightly down, and you may find yourself feeling slightly wary of someone around you (or a loved one) too. Leave your worries behind - and calm you heart and mind - by holding a Blue Lace Agate by your heart each night, or keeping one under your pillow. Bewitching the hearts of some of the world’s greatest icons, this mesmerising crystal suggests you could attract some flattering attention this week. Unexpected messages from long lost friends and ex-partners may leave you feeling very surprised, and a friend or loved one may need your help and support too. Surround yourself with positive energy - and wash away any negativity - by placing a Sodalite in your home or work place, or keeping one nearby. Symbolising love, protection and healing, this spellbinding crystal suggests you may find yourself mourning the loss or absence of someone you love this week. Disagreements with friends and family members may leave you feeling very angry, and you may need to apologise to someone you love for your past behaviour too. Heal the bonds around you - and leave the past behind you - by sending them a Smoky Quartz as a gift, or placing one by a photo of you together. Prized for centuries, this mesmerising crystal suggests you may find yourself feeling slightly betrayed by a friend or loved one this week. Sneaky behaviour from friends, family members and colleagues may leave you feeling very unsettled, and you could see a darker side to someone you thought you could trust too. Protect yourself from their bad vibes and negative energy by keeping a Moonstone in your home, or carrying one around with you each day.